If you’re somehow involved in photography or some other activities connected with, you should certainly think of their creative and captivating presentation on the Internet. It’s pretty obvious that you will have more chances to make your prodigiously talented personality stand out from the crowd if you introduce it by means of the website. Without a doubt, your web-project cannot look boring and dull. It should have an appealing and even spectacular look that will invite more and more new readers to your website every single day. 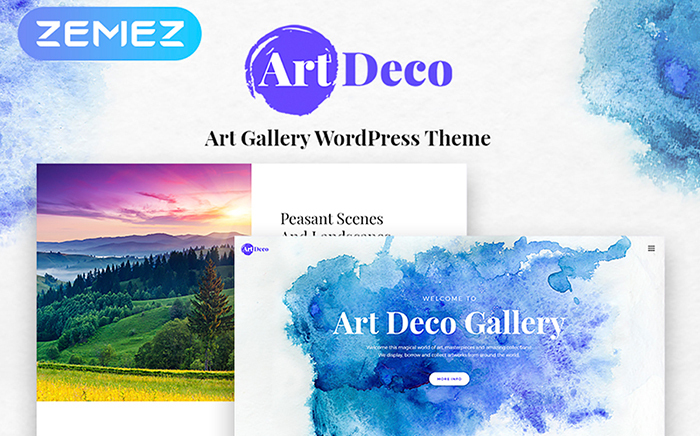 In order to provide you with this very opportunity to become popular in your particular field of artistic creativity, we made a wonderful list of top 20 WordPress themes for artists. 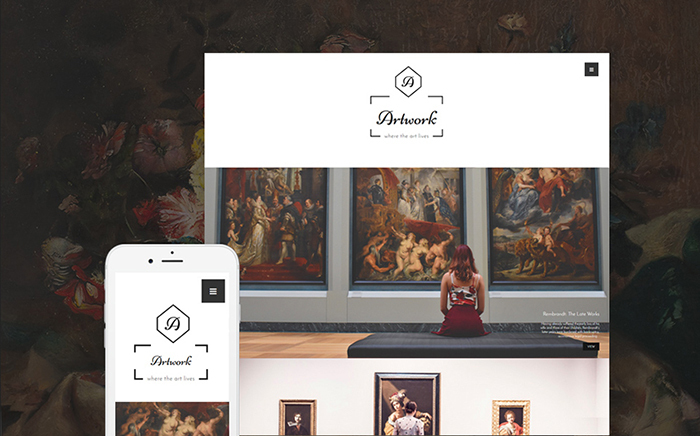 Our team tried to include the best examples of WordPress Themes that complement various types of art styles. For example, you can take advantage of neutral or minimalist designs that will focus the attention of your visitors on your content. You can also take a look at vibrant templates that will make it possible to create something out-of-the-ordinary. And as a result, distinguish your online-project from a bunch of others. Why Choose WordPress to Create a Portfolio or Creative Agency Website? WordPress is the most popular platform in the world. In such a way, it turns out that many web-developers are familiar with this CMS. It takes nothing to find a professional who works with it. You don’t need to pay any money to download, install, or upgrade WordPress. It’s an open-source platform which means that you always have room for development. WordPress is a flexible platform that allows customizing your future website as your soul wants. It’s made not only for professionals but also for novices. Everyone can work with a user-friendly interface and various settings. 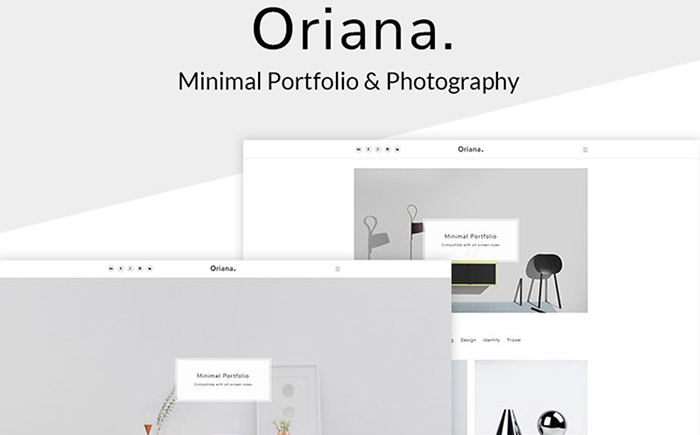 First of all, Oriana is a minimalist template designed especially for creatives who want to introduce their talent in an elegant way. By means of such custom widgets as a banner, about, contact, and Facebook likebox, you will be ready to promote your services and get hundreds of new clients. In addition to this, you can take advantage of various color presets to make your online-project look fresh. Art Deco is a wonderful solution that will impress your potential readers with bright and rich colors. A huge collection of stylish pre-made pages will make it possible to describe your services and professionalism. In order to simplify a process of building pages and placing content, this template comes together with a user-friendly Elementor Builder and its multiple modules. 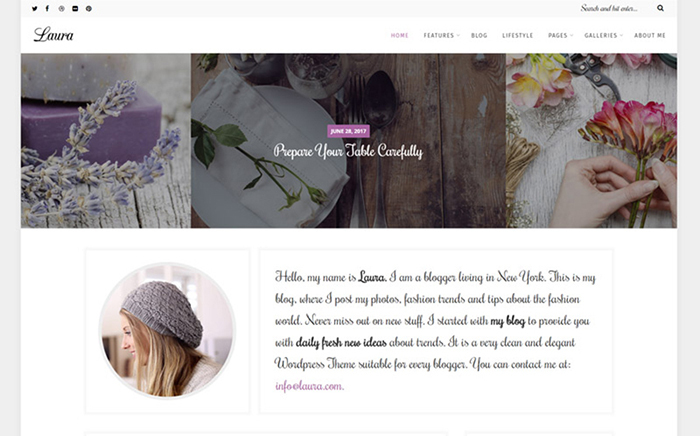 A marvelous theme that comes alongside with a clean layout and amazing set of robust functions. A wide range of astonishing pages will allow you to present your creative activity and feedback on your professionalism. Furthermore, you will be able to brighten your website up with the help of stunning bonus images that are also included in the pack. Don’t forget about a feature-rich WordPress Live Customizer that will make it possible to work with fonts, colors, and other website elements. 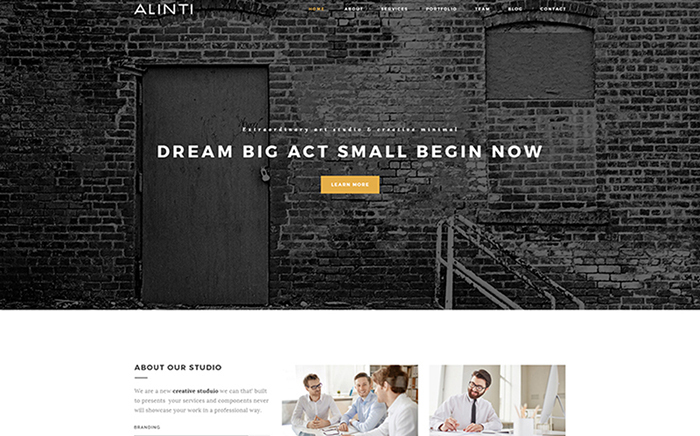 Alinti is a modern template that includes a lot of stunning features to turn your website into an extremely popular one. A wonderful drag-and-drop builder will become your perfect assistant in working with content without any coding. In order to present your crucial information in an out-of-the-ordinary way, just take advantage of the excellent Revolution Slider and portfolio masonry. 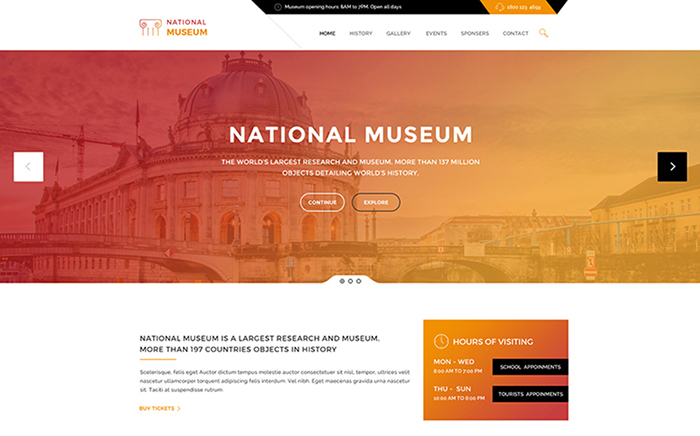 A powerful theme that will provide you with a wonderful chance to make a detailed online-presentation of your project. Together with user-friendly menus, it will take completely nothing for your visitors to navigate through your website. And also find the necessary information at a fast clip. By the way, you will get a marvelous contact form and thus, your readers will be able to ask you some questions. A remarkable template that comes together with a sleek and eye-catching design. CraftBird will impress those who have something to do with handmade. A bunch of high-quality bonus images will make your website look extremely stylish and tender. You can make use of diverse custom widgets (like social media widgets or post carousel) to enrich the functional aspect of your website. 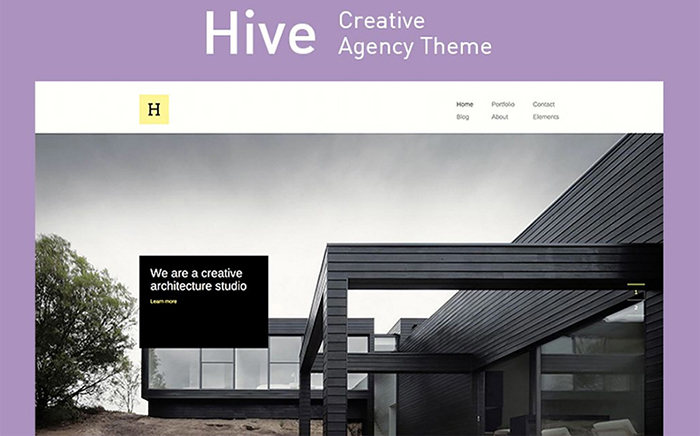 If you’re an owner of the stunning creative architecture studio, you should definitely take advantage of Hive. This modern template includes four different project pages (horizontal gallery, masonry, shaped portfolios, and grid) designed to make your visitors agape with wonder. Moreover, you will get multiple sliders and portfolio layouts that will turn your content into an extremely eye-catching and captivating one. 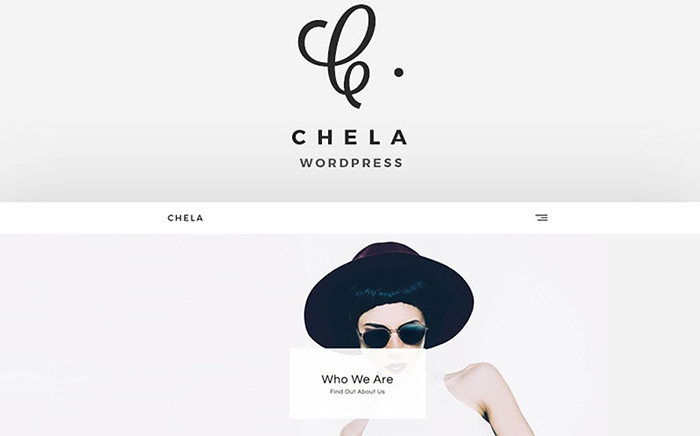 Chela is a stylish template that was created taking into consideration the latest web-design trends. 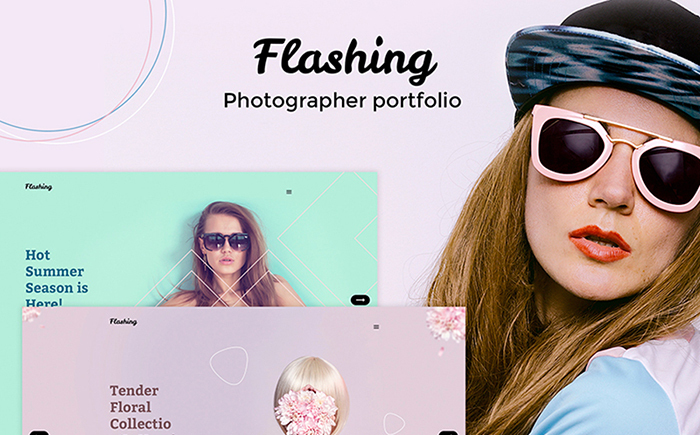 By means of different portfolio layouts, you will be ready to showcase your works in the most nice-looking way ever. 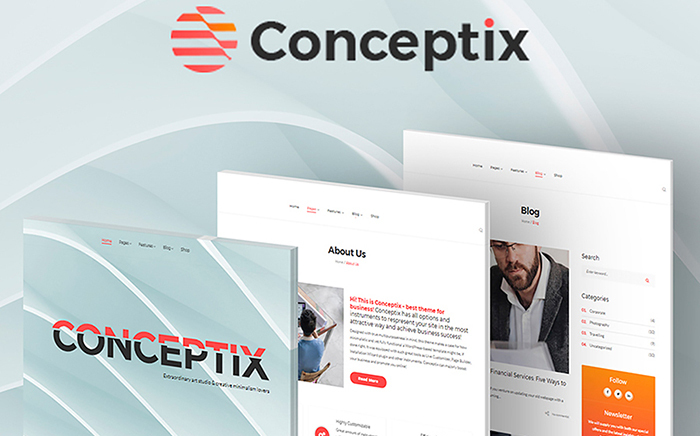 In addition to this, you will get such functions as an infinite scroll, contact form, and sticky header that will make your design even more modern and remarkable. 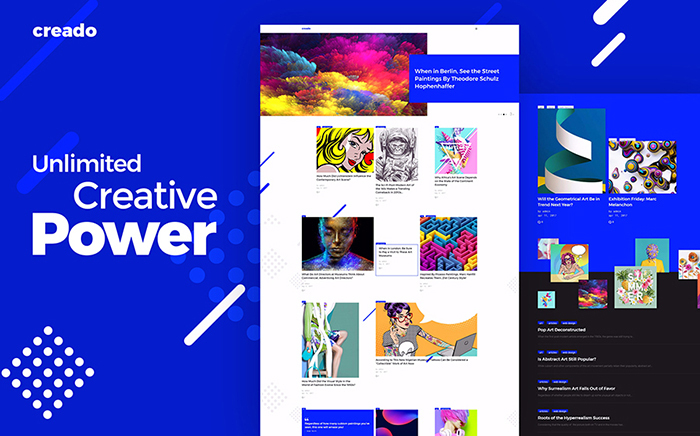 Creado is a wondrous theme that comes alongside with the unlimited creative power. 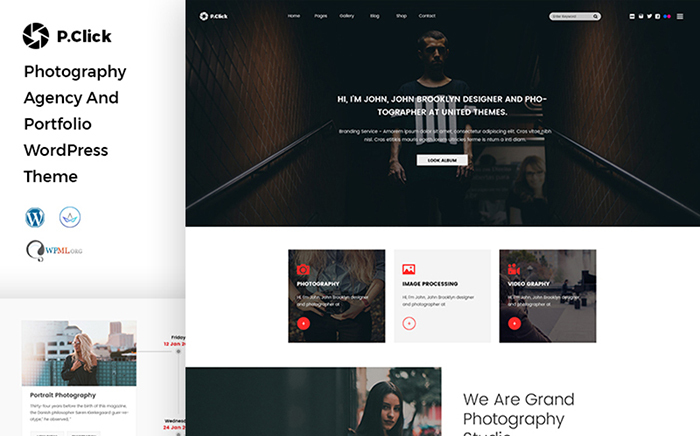 Besides, you will get seven amazing header layouts that will make your website look unique and fascinating. You can also create multi-columned menus (and show them in a drop-down form) by means of the stunning mega-menu plugin and thus, guide your visitors through your online-project. An adorable template that will transform your website into an incredible example of the creative website. You can build pages without touching a single line of code. It’s possible because this theme comes together with a powerful drag-and-drop builder. Your visitors will get the opportunity to get the necessary information in a flash thanks to a stunning live search. 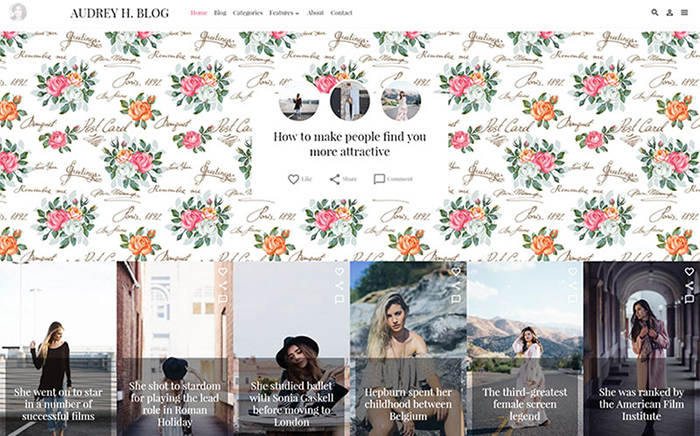 By the way, make use of multiple blog layouts to create a tailor-made look of your website. 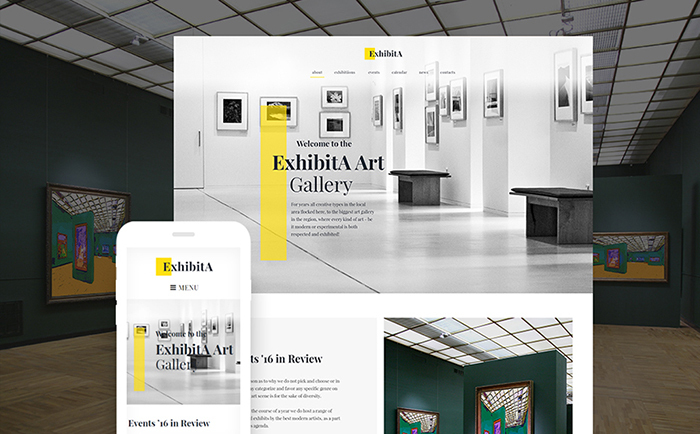 Exhibita is a powerful theme that will turn your website into a stunning exhibition of your works. It will take you completely nothing to build remarkable and good-looking galleries by means of the amazing TM Gallery. Such marvelous plugins as Cherry Testimonials and Team Members will assist you in introducing your team and its achievements and reviews of your loyal clients on its work. 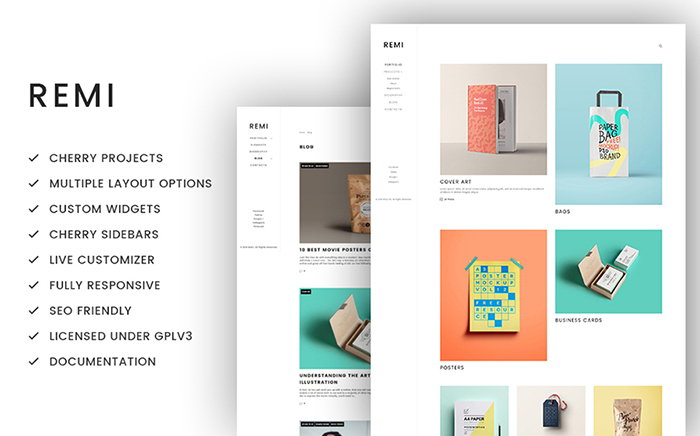 Remi is a minimalist template that will focus the attention of your readers on your brand new photography. By means of Cherry Project, you will be ready to create galleries for your innovative project within minutes. Take advantage of various layout options and animations, add your content, and filter it with the help of tags. In addition to this, you can create sidebars and add them to your layouts without any troubles. 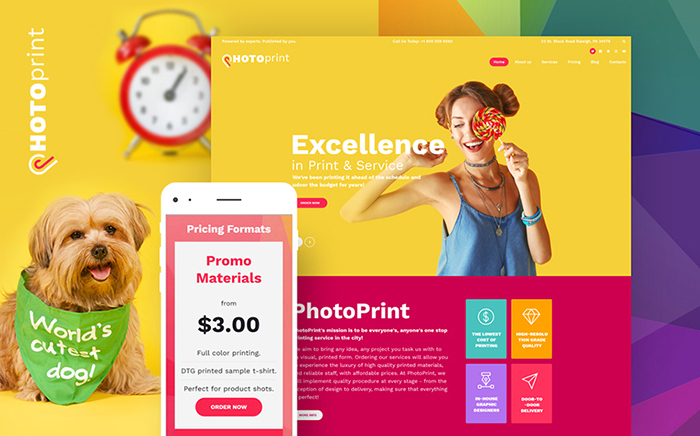 If you want to present your print shop by means of rich colors, then you should certainly grab this visually-attractive theme. A fully-functional drag-and-drop builder (that comes together with multiple modules and presets) will assist you in a customization process and make it extremely simple. It’s also possible to take the full control of your design thanks to various layout options and thus, start experimenting with a structure of your pages. An impressive template that looks like a real masterpiece. In order to let your focus people’s attention on your unmatched works, you can easily make use of different post types and add images, videos, and galleries to them. Furthermore, you can present pictures in a full-width mode and allow your visitors to see their smallest details. In addition to this, you will get an unlimited number of colors which will make it possible to play around with your design. A stunning theme that includes all must-have options to assist you in building a tailor-made website. Together with this template, you will get multiple types of galleries that will make it possible to present your photos in the best possible light. By the way, you can also make use of such options like a marvelous contact form, drag-and-drop builder, Revolution Slider, and Google Fonts. 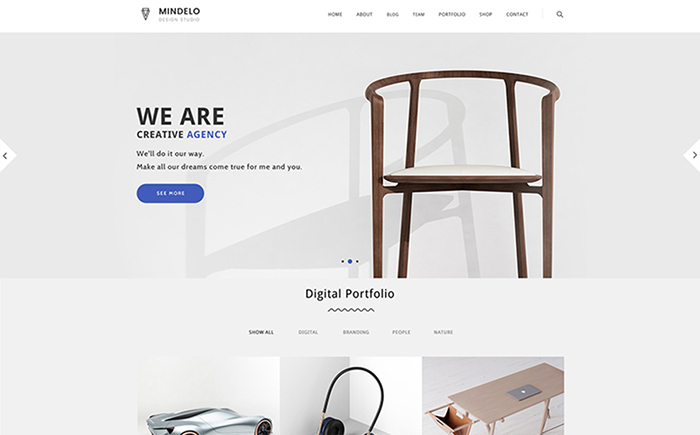 Mindelo is a professionally-looking template that will assure your visitors of the fact that your services can make their dreams come true. There is a fully-fledged WordPress Live Customizer. So you will get the opportunity to take the full control of your design and work with its fonts, colors, and so on and so forth. Moreover, there are such options as clients carousel, contact form, team members, and portfolio masonry. It will make your website look even more trustworthy and eye-catching. Audrey is a feminine theme that will be to the liking of those people who are looking for a tender and soft design. With the help of various color options, you won’t be left alone in brightening the appearance of your website up. Together with this elegant template, you will also get a robust contact form that will allow your readers to communicate with you. If you want to make people believe that your movie production studio is one of the best. You should definitely take a look at this modern template. Above all, feature-rich drag-and-drop builder has a plenty of helpful presets and modules. So you will get a wonderful chance to build pages in a flash. In addition to this, you will be impressed with a huge pack of Cherry Plugins (Project, Team Members, Services List, and others). It will make your services look more credible in the eyes of your target audience. Flashing is an ultimate solution for those who dream of getting a vibrant website that will provide them with a rich online-presentation. By means of various stylish additional pages, you will get the opportunity to describe different aspects of your services and their advantages. This template comes together with a stunning mega-menu. You can divide information and guide people through your online-project easily. 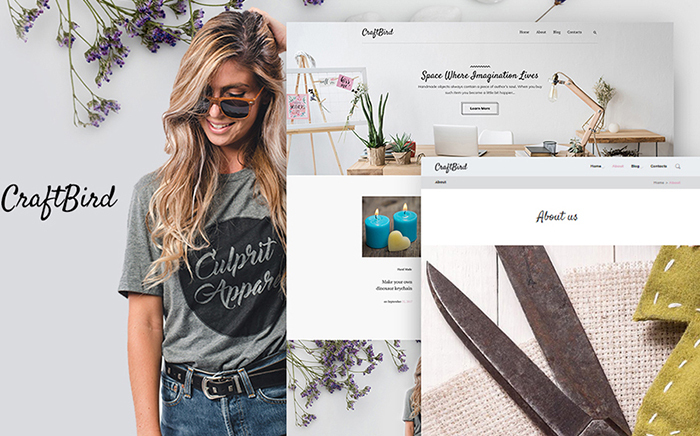 Laura is a sophisticated theme that will catch the eye of your core audience. As you can see it has tender colors and handwritten typography. 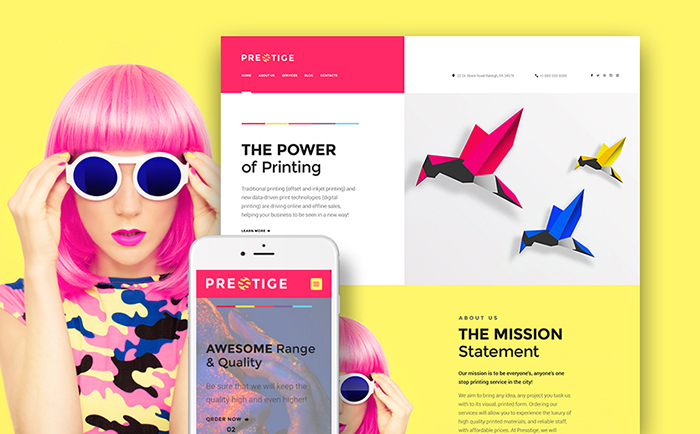 Also, you will get six eye-catching layouts, five blog styles, and six gallery types. All this won’t allow your visitors to stay indifferent. Furthermore, you can easily create impressive slideshows and put them on full-width or sidebar pages. We hope that people will pay a lot of attention to your website if you make it by means of one of these powerful templates. They have such a stunning design and functionality that make them impossible to pass by for others. We wish you more brand new ideas and thanks for reading!